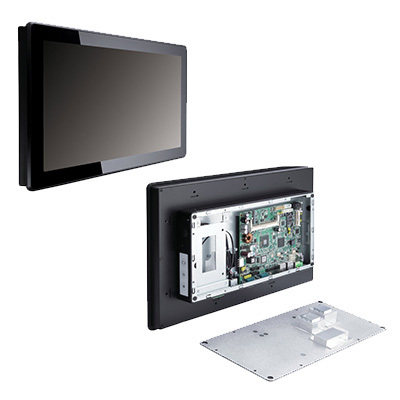 The GOT-3157W is a 15.6" WXGA fanless touch panel computer. By supporting a wide temperature range from -10°C ~ +50°C, it can be used in any harsh environment. The unit adopts 15.6" WXGA TFT-LCD and low power consumption Intel Atom processor. With the growing demand of wireless application, it provides one Mini card slot for wireless network connection. By just plugging in the Mini card WLAN card, customers have instant access wireless LAN. This model is suitable for many applications including transportation, train, control platform of ships, heavy industry, and oil pipe monitoring systems.